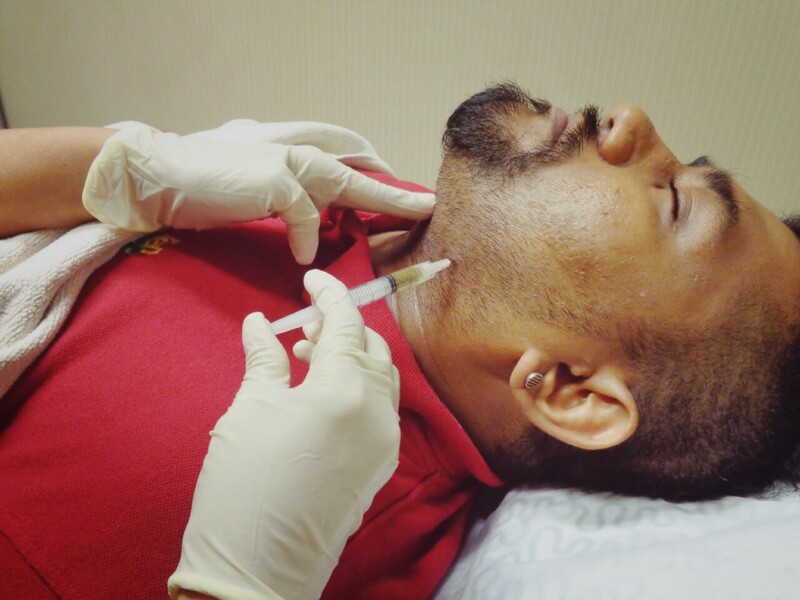 -- Dr. Aarthi Maria is my consultation doctor on that day , she gave few suggestion to choose by consulting me which one is suitable for me and gave few ideas since I Don't know which part I wanted to improve , In sudden I made a quick Pick and I choosed Fat Mesotherapy That Cost for RM900 For 20ml to applied on my Double Chin area . -- OMG!! 8 injection needle . 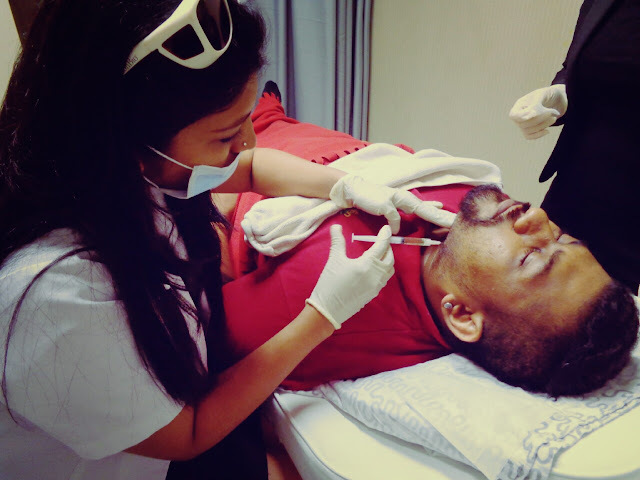 Before the treatment start , Numb cream will be applied and resting 15 minute needed for the effect works . 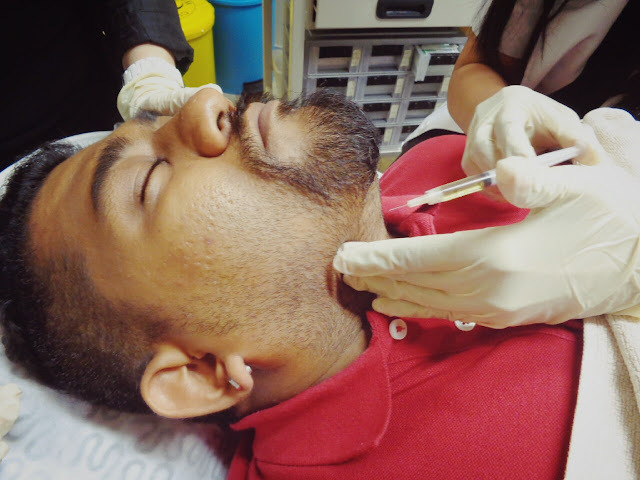 -- After pass 20 minutes , Chin part will feel numb and Dr. Aarthi came in to start injecting the fillers into my chin part plus add on ice cube for extra numb . It took about 10 mins and there just a bit pain . -- After This treatment done , on the same day I'm able to return on daily routine like normal without any problems But will have some redness , minor swelling and minor bruising on the treatment area , This will depending on the individual . Thank you to the staff and Dr. Aarthi Maria for the treatment experienced and having me for a part of it . Fat / Weight Loss : Vanquish Fat Reduction , Zeltiq CoolSculpting Cryolipolysis , Mesolipo Fat Melting Injection , Oral Weight Loss Medicines . Active Acne & Acne Scar : Fractional CO2 Laser , LED Photomodulation Therapy , Obagi Medical Grade Skincare , Dermaroller , Skin Peel , Platelet Rich Plasma (PRP) , Subcision , Microdermabrasion . 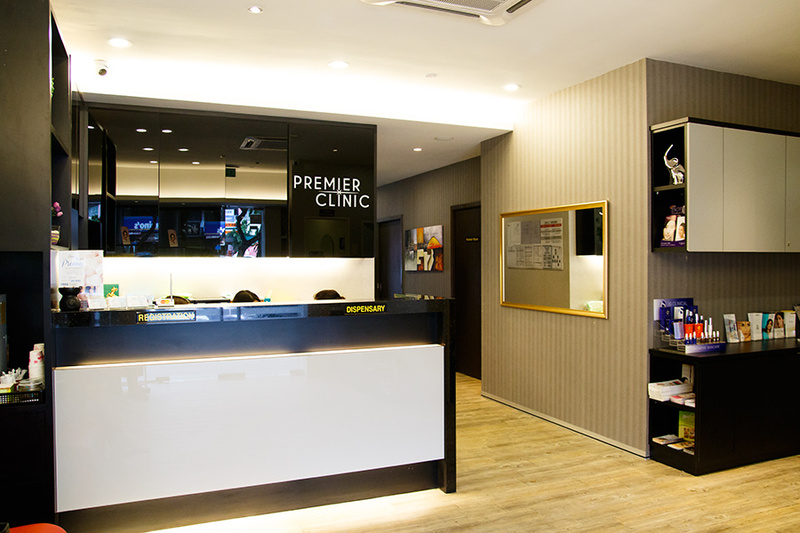 Pigmentation / Age Spot : q-Switch ND:YAG Laser , Obagi Medical Grade , Skincare , Skin Peel , Platelet Rich Plasma (PRP) , SilkPeel , LED Photomodulation Therapy , Celebre Placenta & Stem Cell , Carbon Laser Peel , Microdermabrasion . Car park: Car parks are available on the road right in front of our clinic. 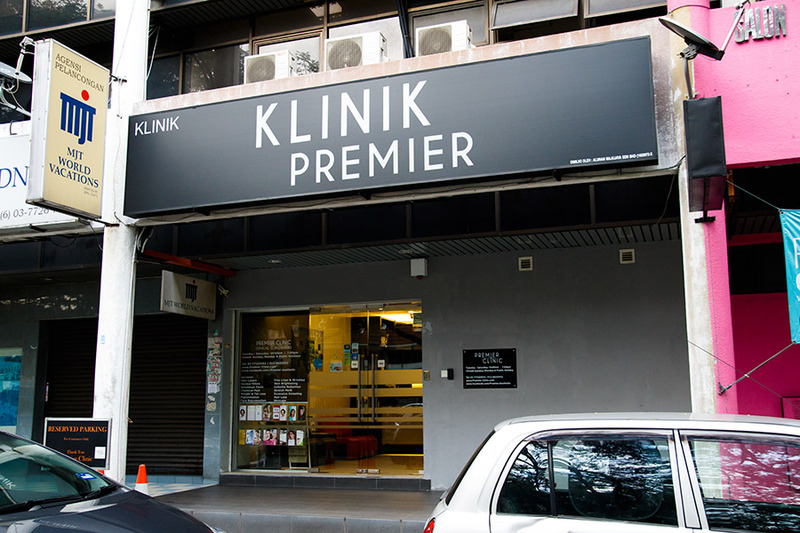 You may also park indoors in Bangsar Village 2 shopping mall, just two minutes walk to the clinic , at RM1.50 per hour. Bring out the best in you with Coolsculpting the most futuristic innovation in the field of body contouring from VLCC. This non-invasive procedure gets rid of unwanted fat cells with the help of state of-the-art freezing technology.